At Colorfully Yours, we know the importance of fire safety awareness and fire education for kids. It is important for kids everywhere to learn about the dangers caused by fires and how it needs to be taken seriously. That is why we specialize in creating fun ways to educate the minds of young kids about the dangers posed by fires. Fires are very dangerous and pose a serious threat to everyone. That is why it is imperative for young kids everyone to understand the dangers of fires and how to stay safe. We have a great selection of fire education products and are a nationwide distributor for all that we offer. Do not ever play with matches, lighters or candles. Store lighters and matches in places that are either locked up or impossible for kids to reach. Do not leave kids alone in a room with a lit candle or lighter. Gather up all matches and lighters in the home with your kid and put them in a safe place. This way they understand exactly what they should not be using, since they are physically handling it. 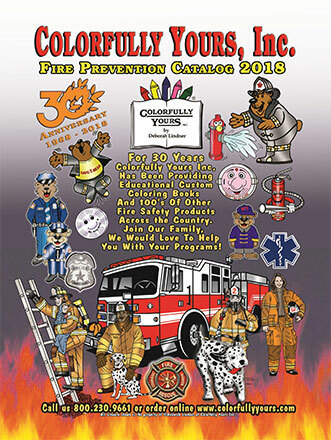 Colorfully Yours has years of experience helping and educating children about the dangers of fire. We have a great selection of coloring books, kits and other fun items that are perfect for kids of all ages. And our products are not only fun, but helpful when it comes to teaching kids about fire. For more information about any of our products, please contact us today. The number to call is 1-800-230-9661. We will gladly answer any questions or concern you may have about our coloring books and other various fire education products. 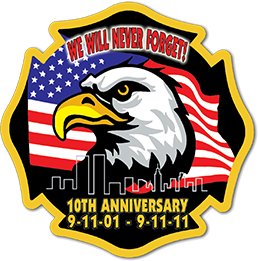 We look forward to providing you with our quality fire education products!